Art Galleries Showcasing Mark Hobson's Artwork - Mark Hobson • Coastline Art Inc.
Visit Mark's gallery for original paintings and limited edition reproductions, as well as gift shop items such as calendars, art cards and matted & framed reproductions. 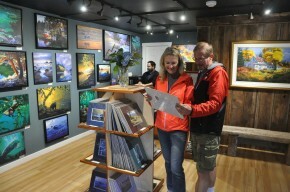 A selection of Mark's work can also be viewed in the entrance and rooms of the Wickaninnish Inn, in the entrance and the Great Room at the Long Beach Lodge and at Jamie's Rainforest Inn. 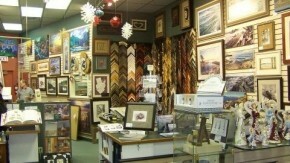 The originals at these venues are owned, however in some cases the giclée reproductions can be ordered on this site. Limited Edition Giclée Prints On Canvas Only.